Is your mortgage underwater? If you have an mortgage on your house that is worth less than the current mortgage balance, you have an underwater mortgage, also known as having ‘negative equity’. This occurs when a home loses value after it is purchased. After several years of paying the mortgage in low to medium appreciation areas you will find there is still not a lot of equity in the house. 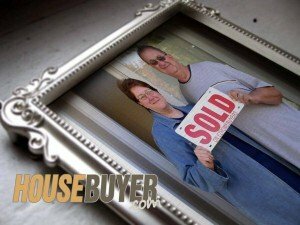 So the seller’s options are to bring cash to the table to pay for closing costs and commissions or hold onto it and let appreciation and mortgage pay down kick in. If your mortgage is underwater and you do not want to waste time and money to refinance (which is no easy task), than consider the little known selling approach. This approach only works when the house seller has a specific kind of mortgage with favorable terms and when you are willing and able to leave the mortgage in place. With the mortgage left on the property, instead of paying off right away, I can turn around and resell it to someone on terms using our EZhomebuyers seller financing program. By offering the new buyers flexible financing I can sell it for more because flexible financing actually adds value to the property. To achieve this value play I must first find a specific kind of buyer who sees the value of seller financing- typically someone who cant get a conventional loan. Then I manage the property, problems, and people in it. That takes you as the seller completely out of the equation from the time we sign the papers. You are hands-off and not responsible for management, selling, maintenance, paying taxes, marketing – everything. To be clear, I don’t assume your loan so the loan does not transfer into my name; the loan stays in the borrower’s name. So if you need the loan paid off for some reason this may not be the solution for you. Subject to deals may take a month for me to get the loan out of your name or it could take years. But I don’t realize a profit on the house until I do sell it so I would like it to go as fast as possible. Do not be tempted to deal with an unproven, inexperienced agent or investor when considering a Sub to transaction. Do a google search on them. The person taking your house Subject To must have at least fifty ‘Sub To’ deals successfully completed. Also verify notarized letters of recommendation from the sellers (not made-up letters with generic pictures). If a Subject-To sales sounds like something you would consider complete the questionnaire. After I receive your information. I’ll need to inspect the property review all mortgage paperwork. If everything checks out I will then crunch the numbers and verify title & encumbrances which is a process of checking that the mortgage information is accurate and up-to-date. So to do that I need you to bring all the paperwork related to all mortgages and liens on the property. I inspect the property to assess the current condition for any repairs, updates in order to sell or rent and gauge the neighbors and neighborhood. That takes about ½ hour and I need full access to entire property, every room and during daylight hours. Then if the mortgagee numbers are accurate and the property is in the condition you said, we’ll sign a purchase agreement that clearly spells everything out so we both know the deal: the expectations, the time-frame and the cost to sell. I tell sellers that there is the same amount of paperwork getting out of your mortgage as there was getting the mortgage. Then I send you the Standard Purchase Agreement for you to print, sign it and send it back by email, fax or mail (including hand delivery). Then I send the signed Agreement to the title company and they do a title check on the property. The check takes 4 days after the order and assuming clear title. Then the title company contacts me that everything is clear. Then together we set a closing date that fits both our schedules. As you can see here you can literally sign papers to sell your house in 7 days. I will be out of state, how can we still close this transaction? Since my Title Company is the biggest title company around they have closing departments in every metro area. So we will arrange a closer in your area to meet with you to sign the documents. She will call you to determine what time you will be available to meet with the closing agent. Who makes the house payment every month? I make the monthly house payments directly to lien holder (the bank). With most banks, you can check online to verify payments are being made. I also make payments for tax and insurance. I don’t assume your loan so the loan does not transfer into my name; the loan stays in the borrower’s name, but the deed is transferred to my name. That way I can management, market and sell the property. Until my buyer gets a loan to pay off your existing loan I am responsible for repairs, handling taxes and insurance, and management duties. You, the seller, are hands-off as if you sold it outright. If the new tenant does not pay does the house payment still get made? Yes, per the Purchase Agreement, which survives closing, the Buyer does regardless of if the occupant is making payments. If tenant/buyer doesn’t pay the Buyer would evict and go after payment. Then, after eviction, I have the house cleaned up – which it always needs and put the house is up for sale. I do the marketing, find and screen a buyer and start over with a new buyer or tenant/buyer. What happens if the tenant leaves before the contract is fulfilled or the house is sold? That does happen. And in that case I start all over: I clean the house up – which it always needs; put the house is up for sale, do the marketing, find and screen a buyer and start over with a new buyer or tenant/buyer. In closing, selling a house using the ‘Subject to’ approach in 2019 is still unique and a bit uncommon in our area. So don’t hesitate to contact me if you have any questions or concerns. 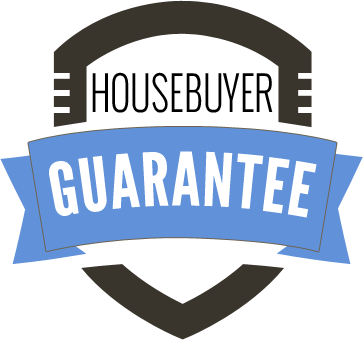 If you’re ready to sell now simply complete my fast Seller Questionnaire as thoroughly and accurately as possible. It’s completely confidential, costs nothing and you’re under no obligation. In addition to buying houses Scott FladHammer, founder Housebuyer™, writes on real estate and business for Housebuyer™. 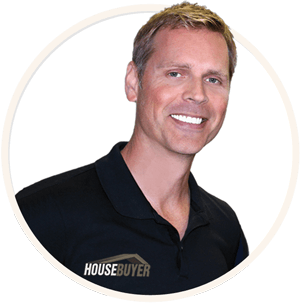 Read more about Scott and his helpful articles for selling houses fast.